Our size 1 switch cabinet coolers are designed for use in small to medium-sized switch cabinets. 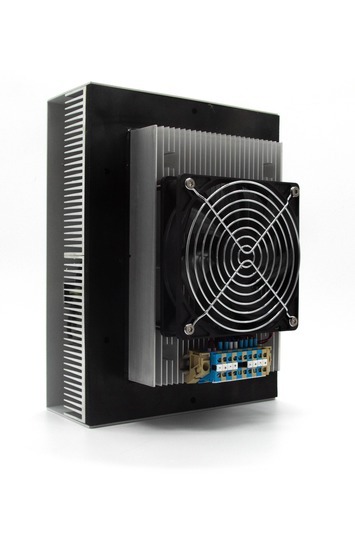 The size 1 Peltier control cabinet coolers are designed with a rated power of 50W. Like all our units of the HL series, the size one units have a particularly high temperature range in which they are used. 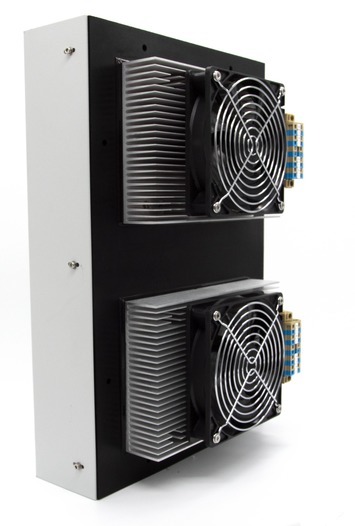 The size 1 switch cabinet coolers offer an excellent price-performance ratio, as they not only stand out due to their compact design, but also combine them with a high degree of efficiency. 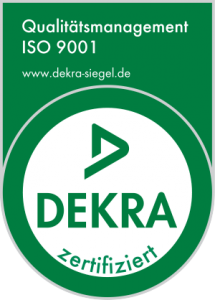 In particular our HL devices have a very extensive field of application. Our size 2 switch cabinet coolers are designed for use in medium-sized to large switch cabinets. Our size 2 HL series units have a rated power of 100W. Due to larger heat sinks and an optimized design, our size switch cabinet coolers are more efficient than size 1 switch cabinet coolers. Despite the high application range of our HL series units, we have managed to ensure a high efficiency of our units. Our size 3 switch cabinet coolers are specially designed for use in large switch cabinets. The premium class of our HL series is therefore equipped with two cooling fin bodies on the inside of the switch cabinet. 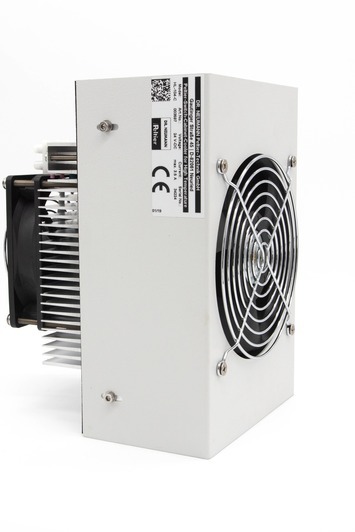 The Peltier control cabinet coolers of size 3 of our HL series have a nominal power of 200W. As with the size 2 coolers, it should also be noted that a size 3 cooler with identical rated output can work more efficiently than a size 2 Peltier cooler.